The shape, lineation, and prosody of postmodern poems are extravagantly inventive, imbuing both form and content with meaning. Through a survey of American poetry and poetics from the end of World War II to the present, Michael Golston traces the proliferation of these experiments to a growing fascination with allegory in philosophy, linguistics, critical theory, and aesthetics, introducing new strategies for reading American poetry while embedding its formal innovations within the history of intellectual thought. 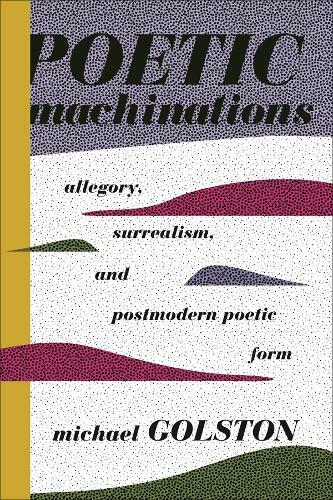 Beginning with Walter Benjamin's explicit understanding of Surrealism as an allegorical art, Golston defines a distinct engagement with allegory among philosophers, theorists, and critics from 1950 to today. Reading Fredric Jameson, Angus Fletcher, Roland Barthes, and Craig Owens, and working with the semiotics of Charles Sanders Pierce, Golston develops a theory of allegory he then applies to the poems of Louis Zukofsky and Lorine Niedecker, who, he argues, wrote in response to the Surrealists; the poems of John Ashbery and Clark Coolidge, who incorporated formal aspects of filmmaking and photography into their work; the groundbreaking configurations of P. Inman, Lyn Hejinian, Myung Mi Kim, and the Language poets; Susan Howe's "Pierce-Arrow," which he submits to semiotic analysis; and the innovations of Craig Dworkin and the conceptualists. Revitalizing what many consider to be a staid rhetorical trope, Golston positions allegory as a creative catalyst behind American poetry's postwar avant-garde achievements.